Rab Unobtrusive design LED remodeler downlight fixture in white trim color, employs 8-Watt high output long life LED lamp with average life of 100000 hours to deliver light of brightness 604 Lumens. LED Lamp with two step binning and integrated driver technology, has color rendering index of 83, efficacy of 64 LPW and color temperature of 3000K. It has voltage rating of 120-Volts. Dimmable downlight fixture features die-cast aluminum construction and polyester powder coating finish for longer endurance. It measures 9-Inch x 1.6-Inch x 3.3-Inch. 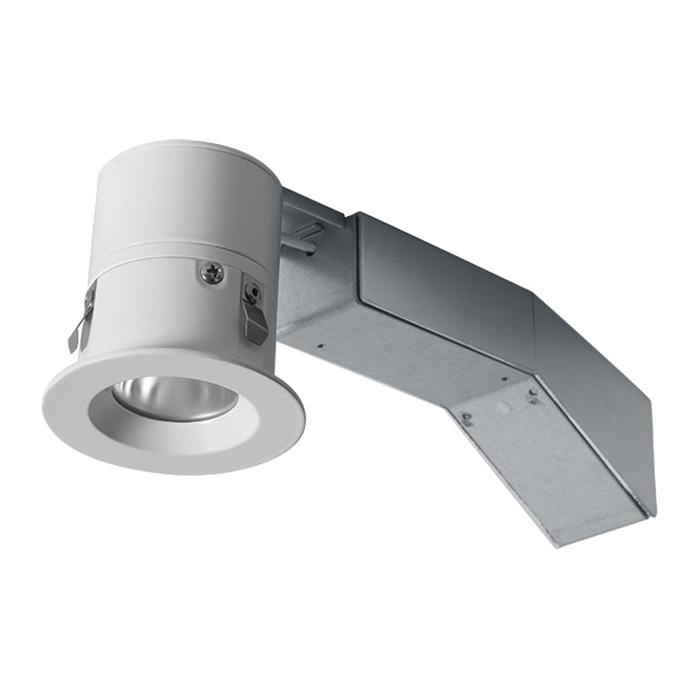 Downlight fixture has nanostructure lens to eliminate hot spot and provide smooth, uniform light and higher efficiency. Downlight fixture is UL listed.